Last November, during an appearance on CNBC, soon-to-be Treasury Secretary Steven Mnuchin said that the Trump administration would focus on limiting tax deductions for high-income households. “Any reductions we have in upper-income taxes would be offset by less deductions,” he suggested. Mnuchin’s comment may have led viewers to wonder: what are the largest deductions that high-income Americans currently claim? The deduction for state and local taxes is the single largest deduction claimed by households making over $200,000. These households deducted $243 billion in state and local taxes in 2014 – accounting for 47 percent of all state and local taxes deducted by U.S. households that year. In recent years, several lawmakers have proposed eliminating the state and local tax deduction altogether; this data shows that doing so would mainly impact high-income households. 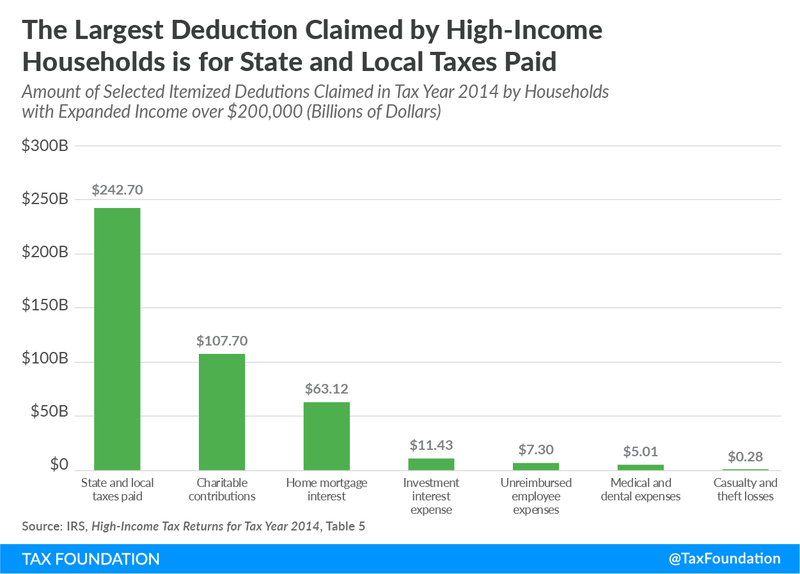 The next two largest deductions claimed by high-income households in 2014 were the charitable deduction ($108 billion) and the home mortgage interest deduction ($63 billion). These deductions tend to be popular with lawmakers, and are rarely targeted for outright elimination in tax reform plans. However, these deductions are also tilted toward high-income households, with 51 percent of all charitable deductions and 22 percent of all mortgage interest deductions claimed by households making over $200,000. Together, these three provisions account for the vast majority of deductions claimed by high-income households. 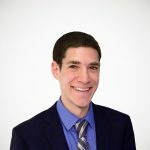 While a number of other deductions are also available to high-income households – for medical expenses, casualty and theft losses, and some investment costs, to name a few – these provisions are relatively minor. This data has a clear takeaway: if lawmakers are interested in reducing the amount of deductions taken by high-income households, they only have a few major provisions to work with. In particular, if policymakers take the state and local tax deduction off the table, they will have a very hard time finding other ways to broaden the individual income tax base enough to allow for substantial rate cuts. Unlike other IRS datasets, this report looks at several different definitions of income, including adjusted gross income (which serves as the basis for calculating how much households owe in taxes) and “expanded income” (which tries to measure how much households have actually earned, by adjusting for a number of exclusions and other tax preferences). Notably, many high-income households are also subject to the Pease limitation on itemized deductions, which slightly reduces the total amount of itemized deductions that these households can claim.